Last night, July 31, 2018, Kyron A. McMaster, ranked by the IAAF as the third fastest man in the world, set a new CAC Games record when he won the gold in the 400m hurdles with his second fastest time of 47.60. The new record, set in the final race of the night, surpassed the standing eight-years old Games record of 48.47 by almost one second. On Monday evening, Chantel E. Malone leapt her way to a silver medal in the long jump with a seasonal best of 6.52. 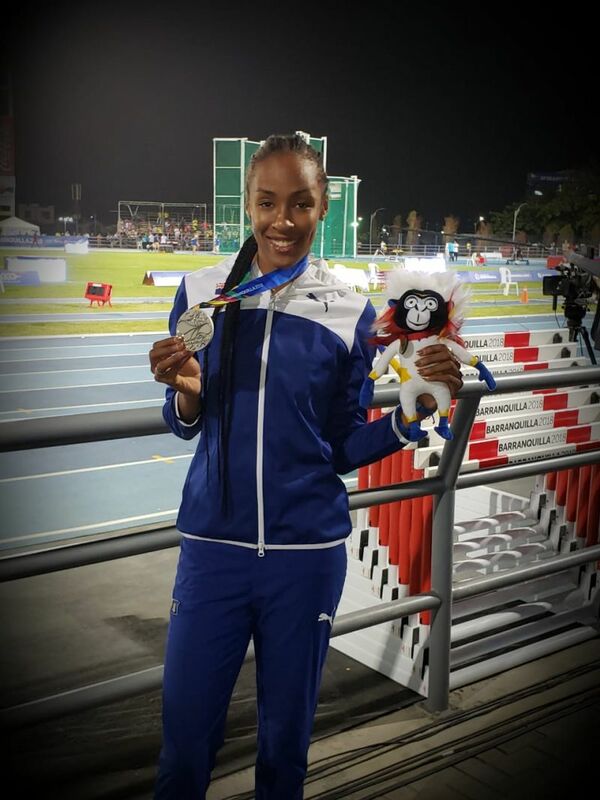 This was her second medal of the CAC Games after winning gold in the same event in 2014. The first win for the VI and new national record was set with Eldred Henry’s bronze medal finish in shot put on Monday night when he hurled the orb a distance of 20.18m to break his previous national record of 20.00m. This is the fifth consecutive CAC Games in which the VI has won gold medals starting with Dion K. Crabbe in the 100m at San Salvador 2002. Tahesia Harrigan-Scott continued the gold medal win when she came first in the 100m at Cartagena 2006 and again at Mayaguez 2010. Chantel won the fourth gold in long jump at Mexico 2014 and now the VI has its fifth gold with Kyron’s win. 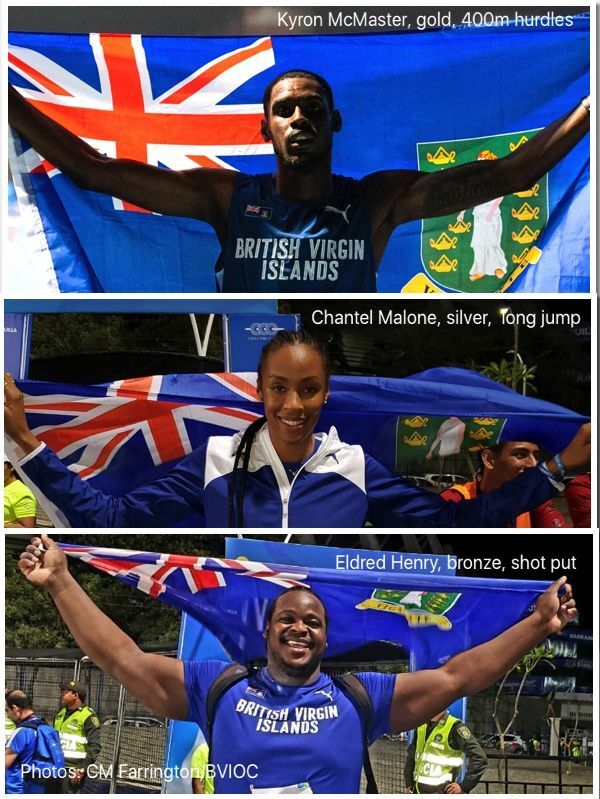 It is the first time at the CAC Games that the territory’s athletes have won 3 medals. 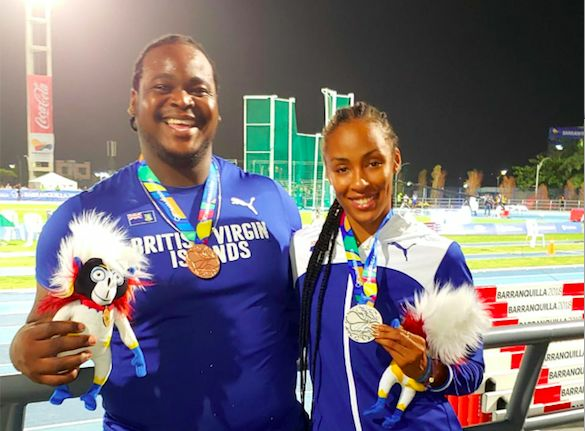 “It has been quite emotional here as we celebrated the 3 medals won at these games so far…I am exceptionally proud of the athletes’ achievements and I and the VI delegation are looking forward to cheering on Ashley Kelly, Trevia Gumbs and Kala Penn in their upcoming events…I know the same is true for all their supporters back home and elsewhere.” said Ephraim E. Penn, President of the BVI Olympic Committee. Ashley N. Kelly will run in the 400m finals tonight while Trevia Gumbs will compete in the shot-put final and Kala Penn in the triple jump. “To date, all 13 of the VI’s senior and national athletes at Barranquilla 2018 have competed in their track and field events and a full report will be distributed at the conclusion of the Games but I can confirm that all athletes have worked hard and have been excellent ambassadors for the territory,” said Cleave M. Farrington, Chef de Mission for Barranquilla 2018. Updates are posted on the BVIOC social media platforms of Facebook, Twitter and Instagram. Good job. Always continue to to your very best. Congratulations to McMaster, Malone and Henry! 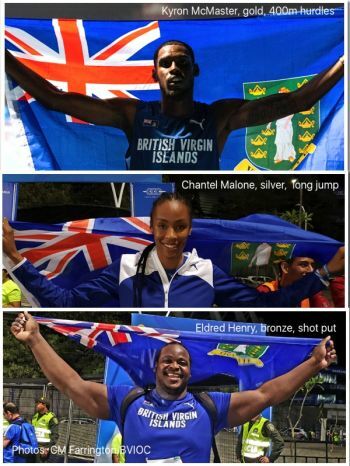 You are shining stars who served and represented the BVI well; you have made the BVI proud both at home and the diaspora abroad. 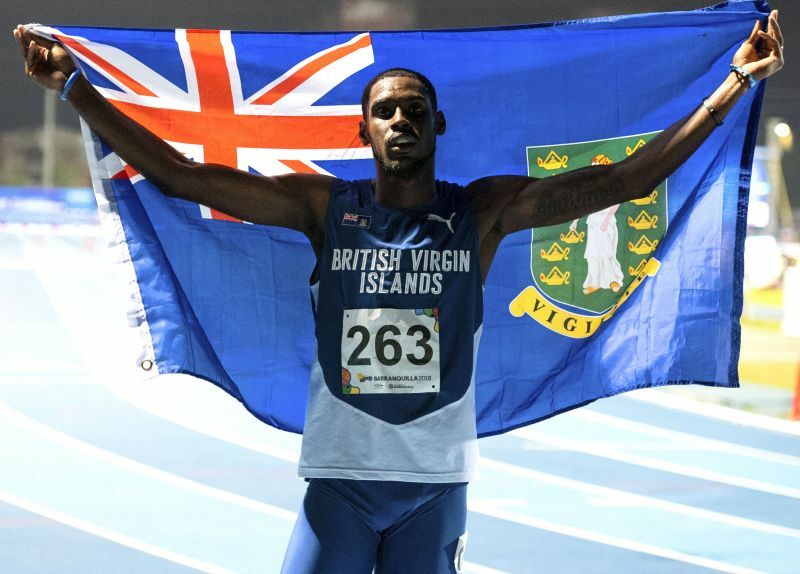 Through your team representation and performance, you have put region and the rest of the world on notice that, though the BVI is a tiny dot, it is a force to be reckoned with. Moreover, you have boosted the spirits of BVI residents who are working feverishly to recover from the devastation inflicted by super hurricanes Irmaria. Keep striving to make the BVI strong!